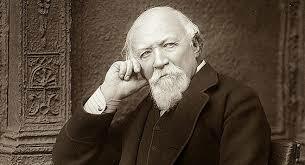 Robert Browning is one of the most important Romantic poets, who contributed a great deal to the poetry of the period in which he lived. Paracelsus is one of his earliest most recognized poems which was written by him in a period stretching over a span of six months. He used to roam in the streets of London at midnight to think about the poem, which he finally published in 1835. 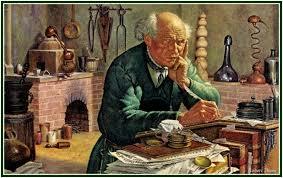 Paracelsus is a long poem that has been written in five parts. The 16th-century physician Paracelsus and his life present the central theme of the poem in the form of a long dialogue that he is having with some other characters in the poem. The poem develops the character of Paracelsus as a young man filled with ambition and determination. Browning discusses his character flaws and his pursuit of attaining ultimate intellectual mastery in the poem. Paracelsus by Robert Browning is an attempt to understand the true nature of the genius of Paracelsus and to dwell upon the knowledge that he received as a part of his journey to find the truth. A physician living in the early 16th century, Paracelsus was witnessing a world that was changing rapidly. He was curious and wanted to contribute to this knowledge. However, his success was challenged at every step by his contemporaries. In this poem, Browning discusses his struggles and efforts to make a difference. In the beginning of the poem, Paracelsus is a young man of 20 who is having a dialogue with his friends. He is clear in his brain and full of affection for others. He has left his life to join the followers of his first teacher Trithemius, who was a major influence on his life. His friends point out that Paracelsus already had much more clarity about things that he should not be here. To this, Paracelsus replies that he is seeking a greater truth. He wants to know the secret of the world and the purpose of man. The first section of the poem- Paracelsus Aspires discusses the knowledge that he had and his aim in life. The second part of the poem has been titled Paracelsus Attain. It starts with a long dialogue between him and his poet friend Aprile. While Paracelsus argues in this section that knowledge is the ultimate objective, Aprile disagrees and claims that love is the basis of human life. After the death of Aprile, Paracelsus achieved great success in his life for a very short time period of three years. After this, Paracelsus had to flee in order to save his life. The next three sections of the poem are titled Paracelsus, Paracelsus Aspires and Paracelsus Attains. In these sections, Browning has discussed his struggles in life for his pursuit of the ultimate truth. The last three sections of the poem discuss the way the philosophy of Paracelsus changed as he started to gain more experiences in life. Towards the end, Paracelsus is not someone who falls, but he is a person who attains the ultimate truth which he says “lies within” human beings. As a young boy, Browning had read the works of Paracelsus and had a fair idea about his life. When French royalist Amedee de Ripert-Monclar proposed Browning to write a poem about him, he immediately started working on the idea. When he wrote this poem, Browning himself was struggling with many important questions like Paracelsus. The primary among them was the legacy of his achievements as an intellectual and poet in the times to come. Ambition for intellectual accomplishment forms the first and primary theme of the poem. Browning starts with a romantic expression of the ambition of his main character Paracelsus and describes that he wants to gain a lot of knowledge to achieve this ambition. He has a love for knowledge and has faith in the power that knowledge provide people. However, he also knows that love is inconsequential without knowledge. This guides his way on the path of truth, something that he seeks to attain in his life. Browning has made extensive use of philosophy and symbolism to convey his idea of life through the character of Paracelsus. The poem is highly autobiographical in the sense that the dilemmas and problems that Paracelsus faced in his life are similar to the ones that Browning had when he wrote the poem. The character of Paracelsus appears to be ideal and inspiring to Browning and he is able to convey this by the end of the poem. However, he is marred by his own insecurities and frailties, he is focused to achieve his aim. Browning hints that this was his greatest genius and seeks to find some consolation in his own answer. You can find the complete poem here.